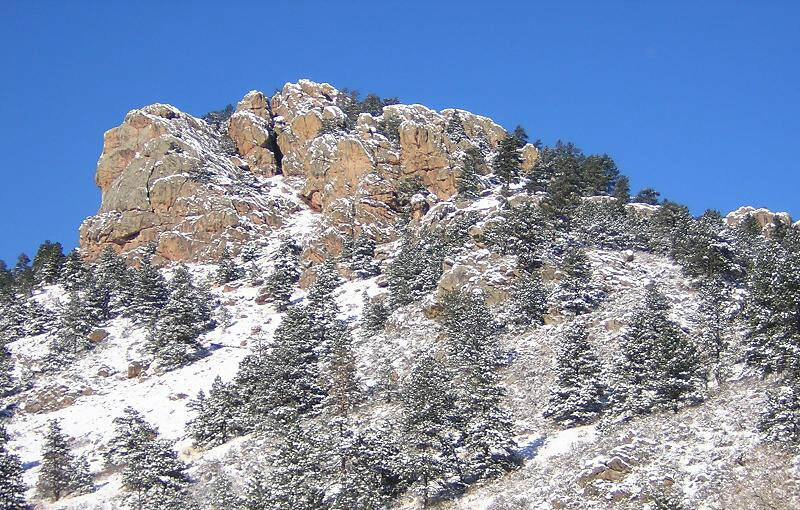 Just a 15-minute drive (or hilly bike ride) from downtown Fort Collins, Lory State Park is one of the northern Front Range’s most beloved recreational areas — perhaps because its menu of activities is a feast for the many outdoor lovers who call the area home. 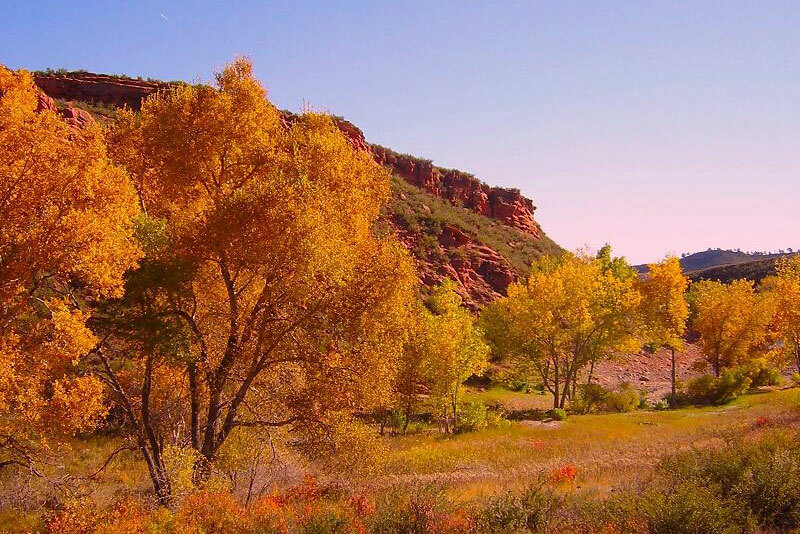 Despite its closeness to the city, you feel like you’ve been airlifted into serenity in Lory’s backcountry campsites, 26 miles of hiking and biking trails that meander through rocky hills and green valleys, scenic gulches and ponderosa pine forests. There are also shady spots for picnickers, jagged outcroppings for rock climbers, sand pits for volleyball players and hoof-friendly trails for horsebackriders. Not to mention the wicked dirt jumps and a pump track at the Corral Center Mountain Bike Park and more than 175 species for binocular-wielding birdwatchers. Winter brings out snowshoers and cross-country skiers to see those 26 miles of quiet trails in a different light. Bordered by Horsetooth Reservoir’s six and a half miles of water, canoeists and kayakers drift in and out of hidden coves. And bass, trout and walleye bring out boat and shore-lounging fishers. 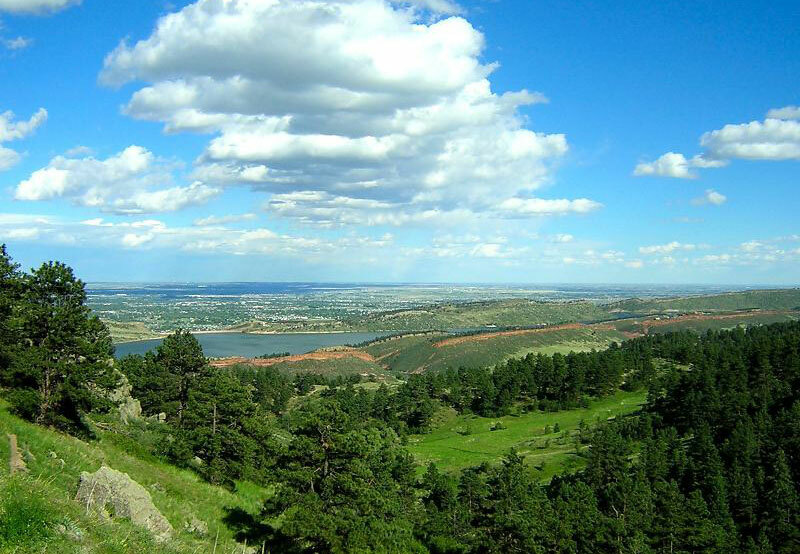 Horsetooth’s oak-like branches create great hiking vistas — emerge from the trails’ trees and hogbacks to find bright-blue waters snaking into view, with Colorado’s massive plains extending to the horizon beyond. Visit the park during the summer months for a riot of wildflower color. Collect images of every hue from the canary-yellow blossom atop a prickly pear cactus and fiery orange blanket flower to the pale-pink gayfeather and Caribbean-sea-blue larkspur. 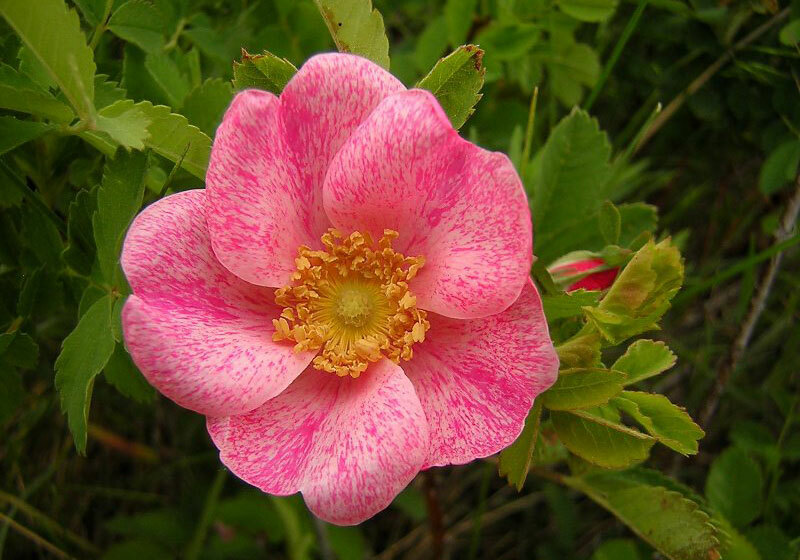 Check out park volunteer Paul Carlson’s slideshow to create a wildflower-scavenger-hunt list. Throughout the warmer months, the rangers at Lory State Park offer full- and almost-full-moon hikes where the sights and sounds of the park take on a different tone under the cool light of the moon. Call the park to get details and reserve a spot (970-493-1623). Photos: Courtesy of Paul Carlson and Lory State Park.